Boxofficeprophets.com has a story today on KOH, showing a list of films to compare it with for profits. Coincidentally, Orlando is in all but two on the list. Thanks for the link, HR! Noted director Ridley Scott caught lightning in a bottle in 2000, when he turned a fictional tale about a Gladiator into a massive box office hit and an Academy Award winner for Best Picture. Scott followed up this triumph by creating the blockbuster Silence of the Lambs sequel, Hannibal. At the time of its release, the return of Hannibal Lecter shattered the records for February and R-rated opening along the way to earning nearly $170 million in domestic receipts. Next up was the critically acclaimed Black Hawk Down, a powerful tale of a military disaster in a foreign country that co-starred any number of rising Hollywood actors. To the surprise and disappointment of many, the movie was shut out of a Best Picture nomination. Scott had to settle for the impressive $108 million in box office along with a couple of technical Oscars and another Best Director nod that didn't lead to a win in the category. For the genius behind Alien and Blade Runner, losing is nothing new. Scott is now 0 for 3 in the category including a loss for Gladiator that still remains inexplicable to many. Sir Ridley's most recent directorial effort was the cerebral Matchstich Men. The film deftly addressed the concept of how a con artist would handle the difficulties of fatherhood, particularly in that awkward instance where the apple hasn't fallen far from the tree professionally. Matchstick Men earned solid box office of roughly $37 million, but it stopped Scott's streak of $100 million movies at three. How then does one of the greatest living directors follow up a financially disappointing movie and a string of respected but Academy dissed action films? He asks a studio for $110 million, and he gets right back on the horse again. Kingdom of Heaven is the fruition of a long discussed but never implemented concept in Hollywood circles. It's a movie about the Crusades. California Governor Arnold Schwarzenegger in particular has frequently been rumored to frontline such a production. In the end, though, he waited too long and grew too long in the tooth to play any action hero not named The Terminator. Kingdom of Heaven instead has new blood in the title roles. Everyone's favorite archer, Orlando Bloom, takes time out from his busy schedule of looking like Sideshow Luke Perry to star here. He plays a peasant blacksmith living in Jerusalem who we are certain is completely different from the young blacksmith he played in Pirates of the Caribbean: The Curse of the Black Pearl. The effeminate yet arguably still macho Bloom will seek to become a knight who fends off foreign invaders seeking to take control of the holy land. While our hero is not busy fighting evil, he will somehow manage to find time to woo the princess of the city he is protecting. Yes, the story sounds cliché, but the good news here is that the fetching Eva Green, last seen giving twins a saucy name in The Dreamers, will portray the princess. This damsel in distress awaits the arrival of the Italian plumber who will save her and teach her how to jump on koopas, ride go-karts and play golf. Or something like that. The text they have entered for the pic at the top not loading = "This is the first picture of Orlando Bloom where he hasn't looked ridiculous". How nasty. Where do these idiots crawl out from under? Methinks it's some webnerd trying to be a smart@$$. I always take comments on sites such as these with a 50-pound bag of salt. The authors are nearly always guys, more particularly of the nerdy, inadequate, movie geek type. Unless the actor is a 'man's man' (e.g., The Rock, Colin Farrell, the like), they're a target. Kingdom of Heaven instead has new blood in the title roles. Everyone's favorite archer, Orlando Bloom, takes time out from his busy schedule of looking like Sideshow Luke Perry to star here. Excuse me? :huh: Is this person living under a rock? They must be if this is the description they come up with. I would never in a million years compare him to Luke Perry. Hello? That is not even close. I wish people that do not know what the they are talking about would just not say anything at all. But, of course, she says in her best French accent. Thanks for the article, Jan. It's especially helpful for those of us living with dial-up. I just love one-stop shopping. Luke Perry! I am not sure if the guy has been living under a rock but he certainly is stuck in the 90's ! If you catch the pimple faced, myopic little pipsqueak who wrote that, please bring him to me. I still have my butter knife and alchohol.and a magnifying glass. "This is the picture you're not seeing, claddagh. Methinks it's some webnerd trying to be a smart@$$.! "Nerd" being the operative word I think! Thanks for elaborating for me Jan. When I see garbage like some of the quotes in that article, it brings to mind the old adage: "Consider the source". Here's a pretty thing, Mel: I don't even know who Luke Perry is! But I sure know who Orlando is. That has to tell you something. And if Orlando is effeminate, I don't know what a man looks like. Yes, I think this David.whatshisface.probable has to take a magnifying glass into the bathroom with him. and a pair of tweezers. Sounds like pure jealousy to me. Effeminate my Don't guys get it??? And what the heck does that crack about Luke Perry mean I don't get it. Was this guy just throwing out stuff trying to be funny. Well, I got news for him.he ain't. I think we should round up a posse and go after this guy.TF.get your butterknife.I have a rope. The butter knife is ready with a few extra notches in the cutting edge in honor of this David Whatshisface. I have a fresh bottle of alcohol. I decided that a magnifying glass is not good enough for David. Perhaps an electron microscope will help us find it. It's a pricey rental, but we'll have nothing but the best for Dave. :devil: Bring the rope, Bev. Adrianne, do you have some duct tape? I'll bet ol' Dave is the kind of guy who likes duct tape. Let's do it. Adrianne, do you have some duct tape? I'll bet ol' Dave is the kind of guy who likes duct tape. Let's do it. Duct Tape. Right here and ready to go! Can we lay off beating up the Box Office Prophet guy. Yes, he is a guy. Not a bad guy either and I've corresponded with him some on occassion. He is entitled to his opinion and whether we think so or not, a lot of people do see Orlando this way. Of course, I firmly believe that will finally change with KOH and Elizabethtown. But he's not a bad guy so uh let's be a little less bashing if we can. That's just my request. :lmao: :lmao: OMG, that may just be the funniest thing I've ever heard! Pfft, men. Sorry MovieImp for all the ganging up on behalf of a very estrogen-pumped pack (I might have joined in too). Those comments were plain silly, but the good thing to take from this is that KOH definitely has good prospects. 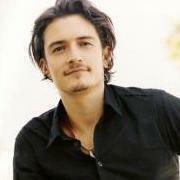 And I'm so glad too, seeing as this is Orlando's first proper/widely-released lead role. I know he'll make us proud (and . . . mmm Balian)! Can we lay off beating up the Box Office Prophet guy. That's just my request. For you, MovieImp, only for you. I'll put the butter knife away. But my opinion of the man remains unchanged. I just hope I can get a refund on that electron microscope. Sorry MovieImp.please forgive.but what he said just.. Guess we got carried away.. . But I think I'll hang onto my rope.you never know. I think that is fair enough Movieimp Anyone who has visited the BOP site in regularly would know that BOP has a slight tongue in cheek approach to Hollywood and their reports are therefore written in that style. BOP tends to be serious but slightly irreverent towards its subject matter :wink: So it is safe to say that should read their opinions with a pinch of salt! It is just an opinion and to be honest when my opinion has been the same as theirs I have found the site amusing and informative. Can we lay off beating up the Box Office Prophet guy. Yes, he is a guy. Not a bad guy either and I've corresponded with him some on occassion. He is entitled to his opinion and whether we think so or not, a lot of people do see Orlando this way. MovieImp, your defense of the BOP guy got me thinking (oh no!) about. a lot of stuff. This is not intended at all to counter your statement, but to stimulate a discussion. PEFIC, if this is in the wrong place for this topic or something, I'm sorry, do with it as you will. I admit to being very reactionary when somebody snipes at our guy. It awakens my inner mother-grizzly, and I don't feel inclined to restrain her. But. Certainly everyone is entitled to have and express their opinion. I have no problem with real criticism of Orlando's work, that is, commentaries on whether or not he has done his job well, and why. I think the BOP article is of a type that is cruel and damaging, and it doesn't qualify as criticism. The writer's goal is obviously to entertain by presenting his opinion is a clever way. But his humor is achieved by misrepresentations like the photo,(you know there are plenty of idiots out there who will take it seriously), and with what amount to insults. This is a low form of humor that requires very little wit. I always wonder how the authors of this type of article would feel about being subjected to the same treatment themselves with no opportunity for rebuttal. It can be argued that being publicly roasted is part of the package one gets as a public figure. That may be true, but it doesn't make it good or right. Of more concern to me is that any published opinion has the potential to influence the opinion of the public. I think the old saying,"If you repeat a lie often enough, people will believe it." applies to this situation. Keep saying, "so-and-so is effeminate." long enough and people will think it's true even if it's obviously false. I'm not an expert on Hollywood, but what I've observed is that who does and does not get to work in that town has at least as much to do with who it is considered stylish to like as who really has the most ability. I think articles like the one on BOP, along with others, have the potential to start " bashing" fads that can sink a career. I'm sure the authors are quite aware of this effect. That's why I don't like articles that snipe, and why I get irate when one is directed at Orlando. I think your thoughts are very well expressed. I feel exactly as you do. Which is why I have a tendency to refrain from reading negative commentary about our man. It puts me in an ultra bad mood. I feel like seriously busting heads. And that goes for expose type articles and pieces written by his 'so called' friends who knew him back in the day! God! Those people really Pi$$ me Off! And that goes for expose type articles and pieces written by his 'so called' friends who knew him back in the day! God! Those people really Pi$$ me Off! Ew. I'm glad I don't know where to find those. Protective? Us? NAH! And I'm glad I don't know where to find articles by his "so called" old friends, as I try to stay away from "catty" press about our guy as well.